Much has been said about the pro’s and con’s of milk consumption and diary products. Some nutritionists claim there is nothing intrinsically wrong with dairy as long as it is organic(hormone-free), others claim a strong link between dairy and various disorders of the female reproductive system. The observations noted in the following study support the existing evidence that galactose, a sugar found only in milk, could have a powerful effect on human ovarian function. This 1994 study published in the “American Journal of Epidemiology” (AJE) provides data on a significant correlation between decreased women’s fertility and both the ability to digest milk (lactose) and milk consumption rates. 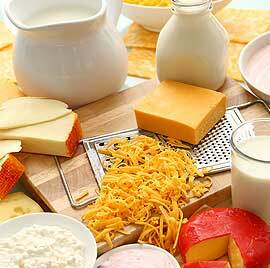 People who lose the ability to digest lactose are referred to as having adult hypolactasia. 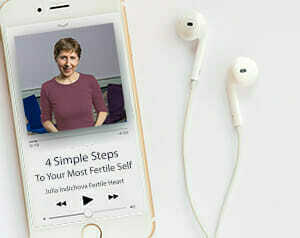 Specifically, the study found that female fertility at older ages is lower and the decline in fertility with aging is steeper in populations with high milk consumption. The study surveyed women aged 15-44 from over 35 countries and included information collected from clinical studies, national governments and United Nations reports. Independent studies have shown that galactose may be toxic to ovarian germ cells which are necessary for reproduction. Therefore, diminished milk digestion would lead to less galactose production, healthier ovarian germ cells and enhanced fertility for women. The correlation between milk consumption and digestion with a higher rate of loss of fertility is greatest at 35-39 years of age, the decade after the peak child bearing years of 25-29. Some experts propose that this delayed impact may be caused by the cumulative effects of long term milk consumption. It may come as a surprise to most North Americans that human stomachs were originally capable of digesting lactose only during infancy. The authors reference numerous earlier studies that show substantial data on the toxicity of galactose on ovarian germ cells.